Have Fun Teaching Theory ABC’s! 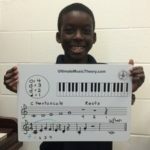 3 Ways to Have Fun Teaching the ABC's of Music Theory! What makes teaching fun? 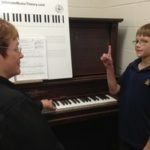 We have fun teaching when we have the teaching tools that make learning the ABC’s of Music Theory Easy! Successful learning happens when we have that “Aha!” moment, when we “get it” and “implement it” into our daily practice. 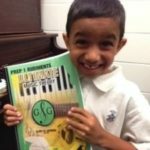 What are 3 Ways to have Fun Teaching the ABC’s of Music Theory? 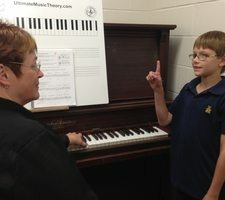 If you are just starting to introduce theory to your students – regardless of their age - if they are just beginners or have not done much theory before, then “Let’s start at the very beginning… Prep 1 Rudiments… is the VERY best place to start.” Start teaching theory as the FIRST part of every lesson. Prep 1 Rudiments introduces the “ABC’s” on the Keyboard. Students first recognize the keys on the keyboard by finding the groups of 2 and 3 black keys. Using the groups of black keys, they then learn how to identify the white keys. Pitch – High and Low sounds. Explore the topography of the keyboard. Can you feel the groups of two and three black keys? Close your eyes. Can you find the white key D? Can you find the white keys A B C? Dynamics – Loud and Soft Sounds. Play A B C using both loud and soft sounds. Start down low playing loudly, then get softer as you play going up the keyboard. Start up high playing softly, then get louder as you play going down. Articulation - Legato and Staccato sounds. Play A B C using different articulations – legato and staccato sounds. 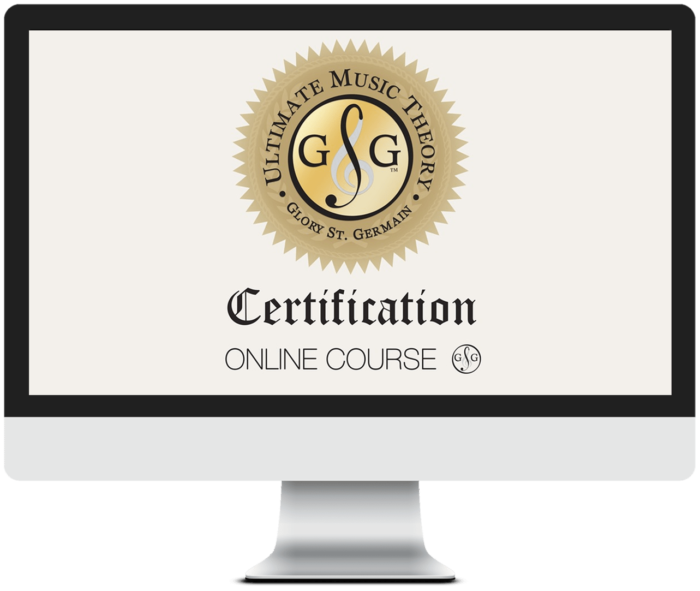 This is “Pre-Teaching” these concepts to train the EAR to HEAR (Pitch, Dynamics and Articulation) before they are introduced as symbols in the written language of music. Prep 1 Rudiments introduces the “ABC’s” on the Staff. Students learn to recognize Direction of going up or going down. Students are introduced to Melodic Patterns: skips, steps and same line or same space. Prep 1 helps you teach the association from the notes on the staff to the keys on the keyboard at the correct pitch. Teach students to identify high sounds and low sounds based on the notes written in the Treble Clef and Bass Clef. Play the exercises in the Prep 1 Workbook on the keyboard as it will help you teach your students to HEAR what they SEE. 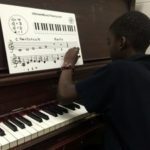 Use the whiteboard to review the placement of the notes on the staff to the correct pitch on the keyboard (the keyboard is directly above the staff). Identify which hand plays the Middle C? Is it written closer to the Bass Clef or the Treble Clef? Prep 1 Rudiments introduces the “ABC’s" using Rhythm. Students learn notation and Time Signature by adding rhythm and pulse (Strong, weak or Medium) to a musical measure. 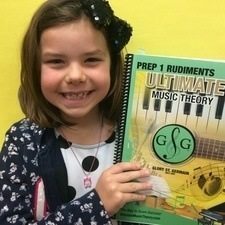 Prep 1 Rudiments provides the foundation for teaching the elements of music by combining melodic intervals with rhythm to create Melody; and adding harmonic intervals and triads to create Harmony. Use the whiteboard to begin composing. Draw a Treble Clef on the first staff. Add the Time Signature of 4/4. Divide the staff into 4 measures. Suggest that your student ends on the note of C (if writing in the key of C Major). Have your students perform their own composition as this builds creativity and confidence as they learn to HEAR what they SEE. 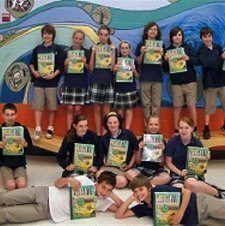 You will have fun teaching composition and your student will have fun composing! EASY! Just remember the KISS – Keep It Simple for Students! Ready to get started? Want to have fun teaching theory? Here’s everything you need. Order your Ultimate Student Pack. P.S. The UMT Tote Bag can also be purchased separately. 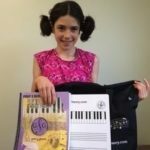 It is a convenient size to hold your student whiteboard, music theory workbook (including the 80 Flashcards at the back of the workbook) and more.